Am Neumarkt 5, mitten in der schönen Altstadt von Zürich. Karten für alle Gelegenheiten anzubieten. Es lohnt sich, das grosse Briefpapierangebot zu bewundern. Es hebt sich vom Üblichen ab und kann in einzelnen Blättern und Umschlägen selbst zusammengestellt werden. Besuchen Sie uns, Sie brauchen viel Zeit um alles zu entdecken. Paper 5 - the unique stationary shop ! At Neumarkt 5 in the middle of the picturesque old city of Zürich. 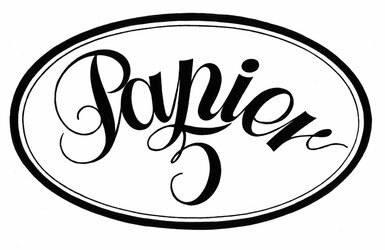 Papier 5 is not your ordinary stationary shop. Especially inviting is the huge range of all kinds of cards and postcards. I have the ambition to offer you something for absolutely every occasion. Its worthwhile taking your time to have a look at our wide stationary, fancy paperclips, noble booklets, agenda, pens and pencils, fantastically beautiful gorgeous paper from Nepal and wrapping paper. Please come and visit, you can take all the time you need and it might take more time than you've planned.